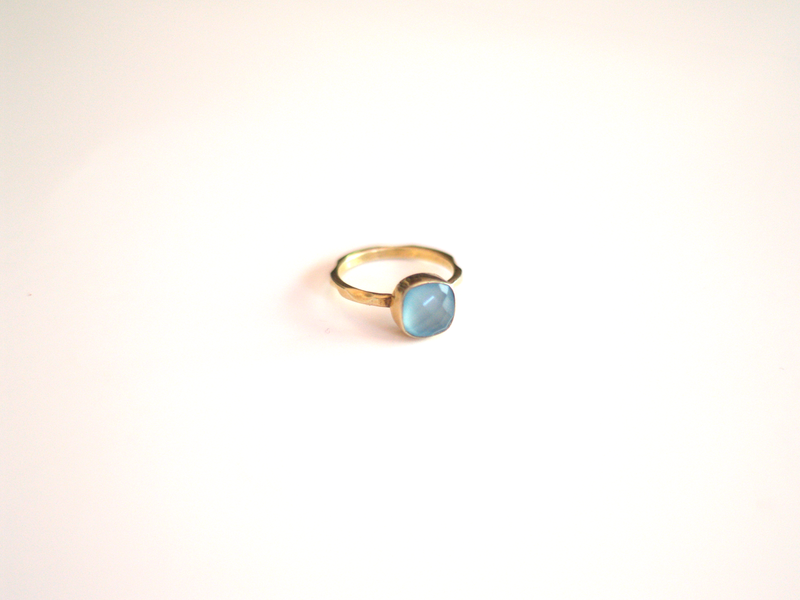 Rings are the one jewelry item that I attach sentimental value to. Whether they've been given to me or purchased by myself, I am always taken back to a specific point of my life when I look at my rings. In almost every video and "outfit of the day" post you've see me wearing a ring, and it's been that way for at least 11 years. Today I want to tell you a little bit more about my favorite rings in my collection, including my newest addition that you may have seen on Instagram last week. This is by far my favorite ring in my collection. It's not the fanciest ring, nor the most dainty but the reason why I love this so much is because it used to belong to my grandma. It's a shame that you'll never meet my grandmother since she was a very remarkable and vivacious woman. Some of her favorite things were gold jewelry, red lipstick, perfumes, traveling, and enjoying the little things in life. One of her favorite cities was Las Vegas and boy did she love gambling! She used to wear this ring whenever she would go to Vegas for good luck, and during her last trip to Vegas she passed it on to me. This ring reminds me of my grandma and her love of life, it also has brought me some good luck over the years which I've been incredibly thankful for. Although this ring was given to me I did find the exact ring online! 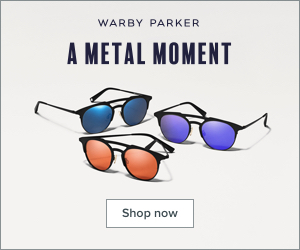 The ring is 14k gold plated and retails for $30.49 on Overstock.com. 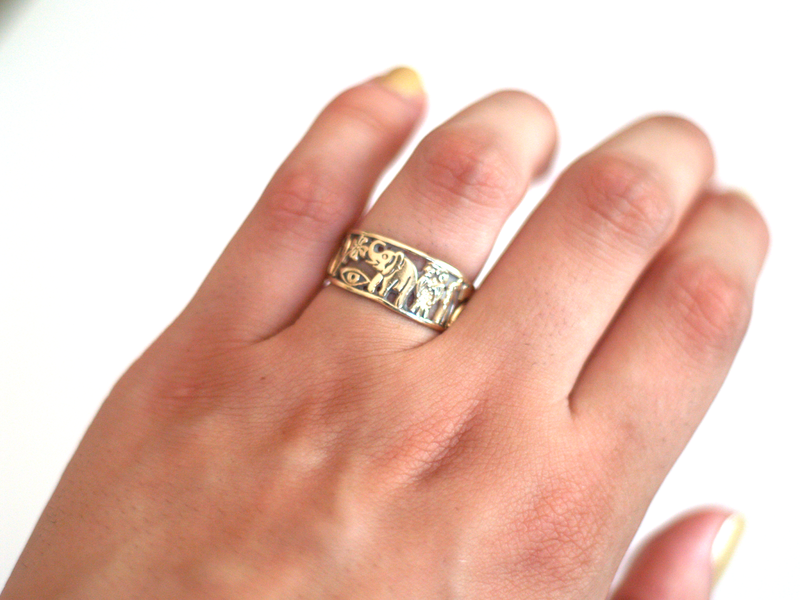 The newest addition to my ring collection is this gorgeous 24k gold plated ring from Love Tatum. 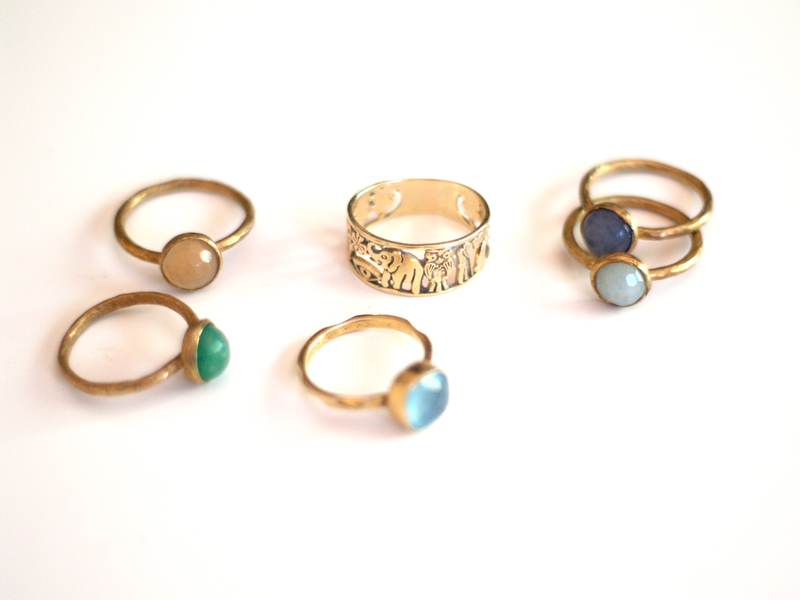 I met Tatum at a blogger event back in November 2013 and fell in love with her gold plated jewelry and gemstone rings. Not only was she incredibly sweet but I found that her jewelry was very unique, minimal, and feminine. I've been wanting to purchase a Love Tatum piece ever since that event, and after a lot of window shopping I finally caved in and purchased my very first ring. This ring will always remind me of that blogger event when I was wishing to buy one of her pieces and it's also going to remind me of blogging in general. 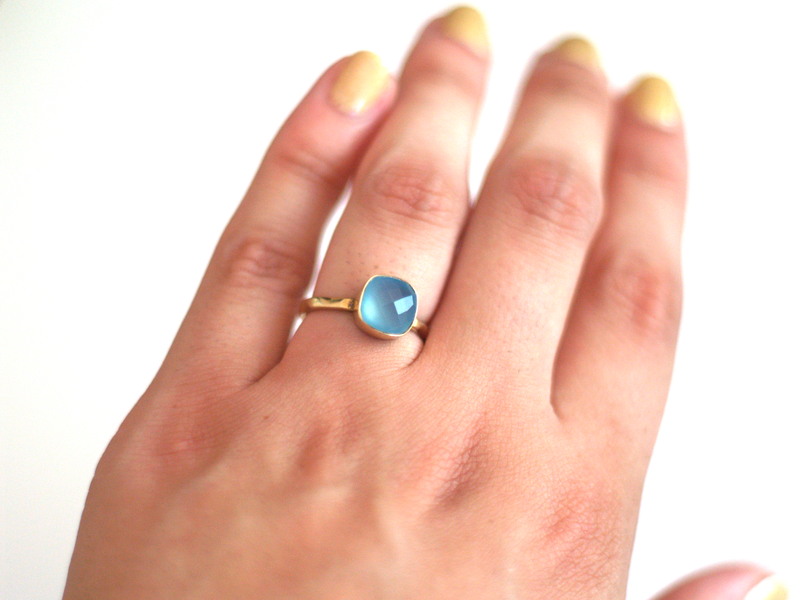 It takes a lot of perseverance to keep blogging and this ring will remind me of how much I truly care about my blog. 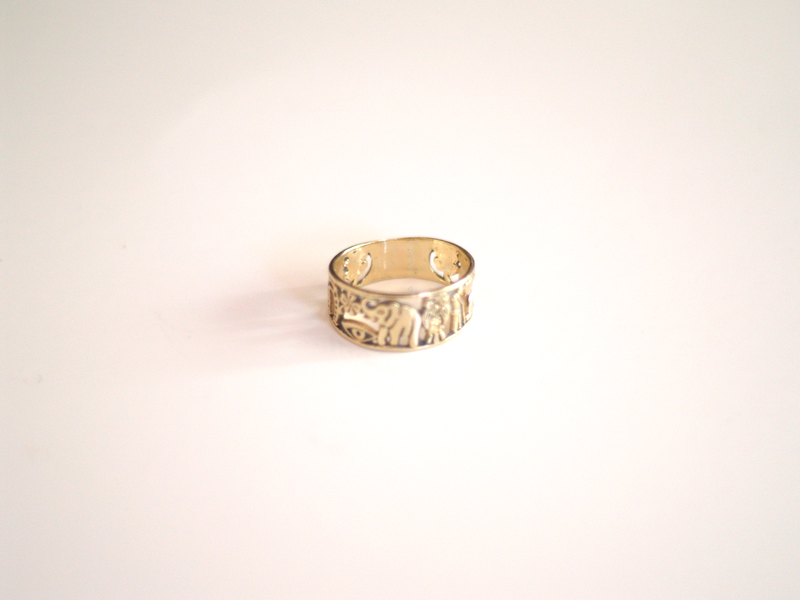 You can find this ring and more on the Love Tatum website for $78. If you live in San Diego you can head over to some of my favorite local shops like Simply Local, Pigment, and the San Diego Library Gift Shop. If you're a fan of the makeup goddess that is Lisa Eldridge then you know that she always wears two stacked rings. I looked into the rings by William Welstead that she has but let's just say that they're a little out of my budget, so when I found these I became elated. They're not the exact rings but they give me the kind of effect that I want. 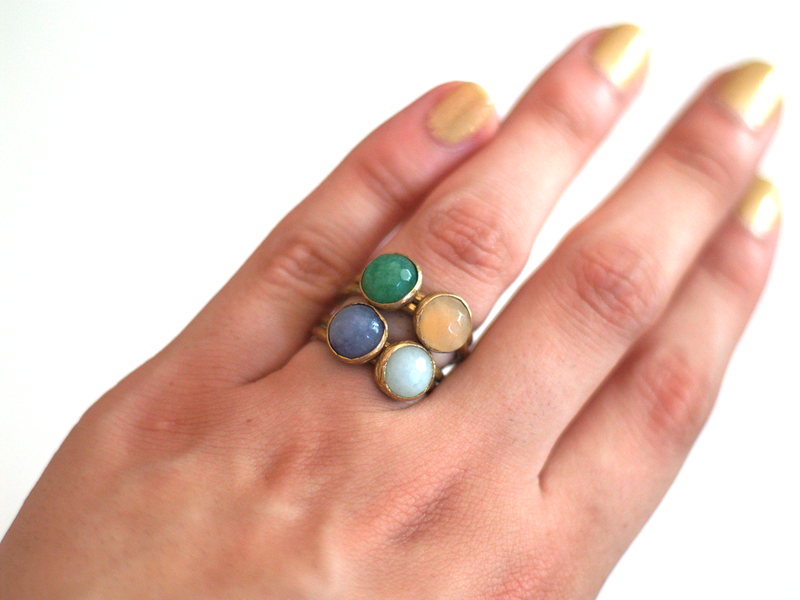 These rings are by Montaj Jewelry and they are also 24k gold plated, but they have a semi-precious stone instead of a gemstone. The metal also looks more worn in, which I happen to enjoy. I usually wear three rings at a time but I have to say that I like the look of the four rings stacked, so maybe I'll start wearing them this way. These rings were bought at the beginning of a new journey so it will always take me back to that turning point when someone finally hired me. 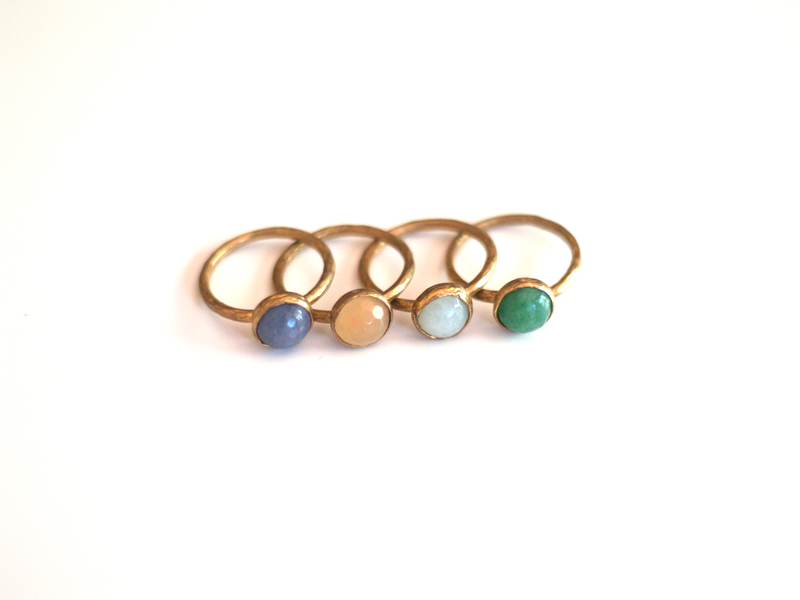 The Montaj Jewelry rings retail for $12 at Simply Local and some San Diego farmers markets. They do have an Etsy store but they don't have the rings listed on there. You can send them a message through Etsy and they might just put the rings up. I really hope you enjoyed this blog post, even if it's a little different from my other posts. I really enjoyed getting to talk about my favorite pieces of jewelry and sharing some of the stories attached to these rings. So tell me a little about your favorite rings in the comments below. I would love to hear your stories!